The study will continue the work done on Bering Sea and Bering Strait early this year. Months after the International Maritime Organization approved a set of shipping safety measures for the Bering Strait region, the U.S. Coast Guard is starting a process that could bring about similar measures for nearby Arctic Ocean waters. A new study of shipping safety in the Chukchi Sea north of the Bering Strait and the Beaufort Sea, east of the Chukchi, is part of a broader Arctic port-access project, the Coast Guard said in a Federal Register notice published Dec. 21. The study will analyze current vessel patterns and evaluate future vessel needs, balanced with environmental considerations and other interests, said the notice, which calls for public comments. The study could result in designated ship-traffic lanes, identification of sensitive “areas to be avoided” and other protections similar to those that the IMO imposed in May on the Bering Strait and northern Bering Sea shipping, the notice said. 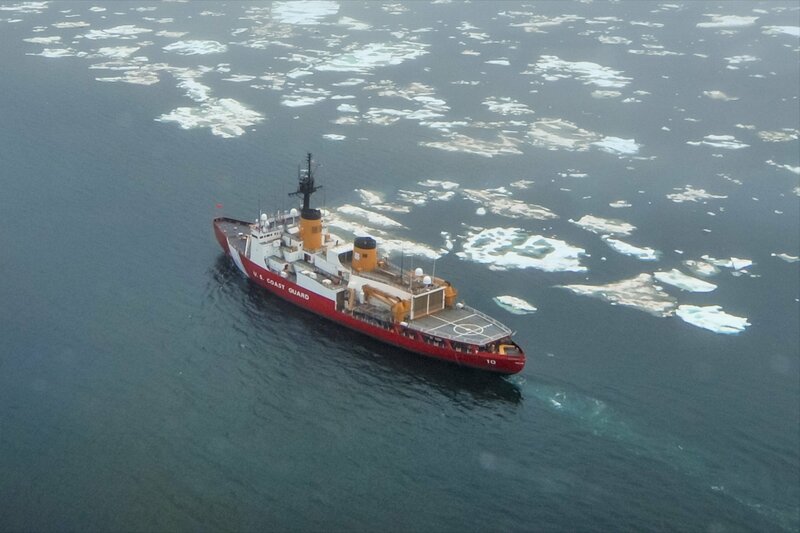 The decline of sea ice is allowing for more vessel use of the Chukchi and Beaufort, the notice said, just as it has for the Bering Strait, the narrow passage between Alaska and Russia that connects the North Pacific Ocean with the Arctic Ocean. “These changes in the Arctic are affecting the people, wildlife and habitat of the region which in turn has resulted in increased levels of government attention, media attention, scientific research, natural resource exploration, eco and adventure tourism, and increasing commercial use of the Northwest Passage and the Northern Sea Route as alternative shipping routes,” the notice said. The environmental organization Ocean Conservancy is one of the groups planning to weigh in with suggestions on possible Chukchi and Beaufort shipping-safety measures. The two seas are highly dynamic, with big seasonal swings, big populations of wildlife, a lot of importance as food sources for the nearby indigenous communities – and both are profoundly affected by climate change, said Andrew Hartsig, the organization’s Anchorage-based Arctic program director. Ocean Conservancy is planning to make an inventory of biologically important areas in the region, like the Hanna Shoal in the Chukchi and the Stefansson Sound Boulder Patch in the Beaufort, he said. Ocean Conservancy has done that in the past for comments submitted to the Bureau of Ocean Energy Management, which oversees offshore oil development, he said, but not from a shipping perspective. One important suggestion is that the Coast Guard do “robust” consultation with communities and Alaska Native groups, Hartsig said. Such consultation was done in the Bering Strait study, but it could be enhanced, he said. Aside from the high-profile transits of big ships using the Northwest Passage to ferry cruise passengers or cargo, there is a lot of local ship traffic between communities, including boats being used for subsistence food-gathering and vessels that are used to ferry equipment to North Slope oil sites, Hartsig said. There might be some kind of separation between types of travel in that part of the Arctic, he said. Any future Beaufort protections should be coordinated with the Integrated Arctic Corridors work being done to enhance shipping safety in Arctic Canada, Hartsig said. “The Beaufort Sea doesn’t stop at the U.S. border, so the Coast Guard needs to line up the route with whatever happens on the Canadian Beaufort,” he said. The new protections for Bering Strait and the northern Bering Sea protections were the result of a bilateral work, a proposal made jointly by the U.S. and Russian governments. The IMO-approved protections, which went into effect on Dec. 1, established six ship traffic lanes and six precautionary areas. The precautions includes protective buffers around three Alaska islands — St. Lawrence, Nunavik and King — that are considered to be environmentally sensitive and important to the region’s Indigenous people. The IMO rules adopted in May are voluntary, as are protections adopted by the IMO in 2015 for the Aleutian Islands. Still, there is a “pretty high compliance rate” among shippers, Hartsig said. That would likely be the case as well if new rules are established for the Chukchi and Beaufort, he said. “It’s in their self-interest, because these routes are all charted to modern standards,” he said. That means a low likelihood of striking some unknown and unmapped object, he said. “The rest of the Arctic — you cannot say that,” he said. The IMO-approved rules, even if voluntary, are also considered “best practices,” which is a standard for shippers’ insurance policies, Hartsig said. “If you get into trouble by not following them, the insurance industry is going to ask a lot of questions and might not come through for you,” he said. The Coast Guard’s study of ship traffic needs and impacts in the Chukchi and Beaufort will likely take two years, the Federal Register notice said. Public comments are being accepted until Sept. 1. But the partial government shutdown might complicate that timetable. The Coast Guard is one of the U.S. agencies affected, as it is part of the currently unfunded Department of Homeland Security. Hartsig said he hopes the current planning schedule is long enough that the Chukchi and Bering study can avoid major problems. “Assuming that the government gets back up and running in the next few weeks, I don’t think there will be any irreparable damage,” he said.